The intent of this page is to reconstruct an outline of the educational and career history of D. C. Dorrough, Ph.D. As is evidenced elsewhere on this site, the full development of his research led to the application of analogy, multi-valued logic and mathematical lattices to such fields of study as bio-technology, computer science, military and industrial tracking systems, medicine, artificial intelligence and robotics. A chronological narrative format is used in order to further support the list of published papers and developed research located here. This information was compiled from Dr. Dorrough’s records. If there are any discrepancies, the error is that of the compiler and information indicating appropriate corrections would be reviewed. Studies in Advanced Number Theory, Advanced Mathematical Logic, Advanced Calculus, Advanced Statistical Theory, and the History of Mathematics. This opportunity was awarded Dorrough by the Institute for calling attention to a contradiction between certain Birkoff Lattices and Semimodular Lattices. He was 16 when he graduated from high school and successfully passed entrance exams for New York University enabling him to attend the Institute. Developed teaching skills for high-school level basic biology, basic chemistry, math and physics. Also augmenting his own high school education in Latin and Greek and Coptic. Studies in U. S. and World History and Philosophy. The curriculum called for courses in each of the basic sciences taught. Dorrough was within the top five percent of knowledge based exams in the fields he taught. Substitute lecturer for professor, a cosmologist at the Keck Observatory. The Williams’ Fellowship provided funding for research and studies for four years. A Williams Fellowship was awarded only to incoming graduates who had outstanding records for both academics and research. Ph.D. University of North Carolina, Chapel Hill. Lecturer Praecipio, Mathematics, Logic and Computability, University of California, Berkeley and Los Angeles. The Lecturer Praecipio is an award made, since the time of Cicero, to a person with outstanding capability for delivering complex information to an audience. Dr. Dorrough held the designation at both the Berkeley and Los Angeles Universities. During the six years in the Advanced Systems and Technology Group (ASTG) for missile and space systems, Dorrough received the top Citation for Professional Achievement for his models and contributions to Science and Aerospace Engineering. He tackled several major problems in the aerospace industry. His work was published in papers peer-reviewed publications and in proprietary technical reports such as: 1) Analyzing and Synthesizing a Self-Repairing Computer; 2) A Theoretical Analysis of System Quality; 3) Vision-Based Predictive Robotic Tracking on a Moving Target; and 4) the book, Toward a Coherent Multi-targeting Protocol. (Privately published and not available to the public). Research of Self-Organization and its Dynamical Order in the Evolution of Metazoan Gene Regulations. Contributions to the English translation of the Coptic documents produced from approximately 20 BCE to 70 CE. Using animal models and biochemistry, the research team was to improve knowledge concerning the behavior of receptors, the respiratory behavior of mitochondria, and the mechanism of anesthetic action. Dorrough and the team accomplished all of their goals. Dorrough participated in developing mission critical selection criteria for crew members. Also participated in developing the mathematics required to match the spins of the two vehicles to enable docking. This company began with the help of several individuals whose origins, education and talents were global. 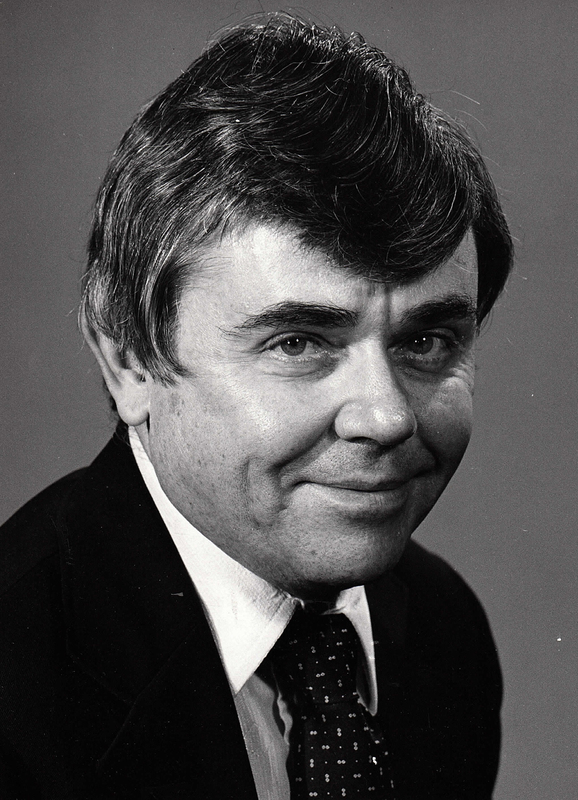 SST was organized to exploit Dorrough’s research supported by researchers he worked with throughout his career. This research continued work done while Principal Investigator on the Abacus Project at Loma Linda University. Consultant Ford Advanced Technology Laboratory: Ford Aerospace. Essentially, Dorrough wrote a book entitled: Toward a Coherent Multi-Targeting Protocol so that Ford Aerospace Engineers could design, build and launch aerospace vehicles. The book was popular for several years in the engineering community since it contained text which could be directly programmed into computerized systems. After delivering a paper: Robotics Concepts for the U. S. Space Station (see Transactions of the American Astronautical Society AAS 85, 4-31 1985) Boeing asked him to take over the Directorship of the Knowledge Group at the Boeing Advanced Technology Center. Having previously worked with many on the team, Dorrough soon delivered a Prepared Proposal to NASA. He also began to develop a detailed list of requirements based upon discussions with relevant scientists and engineers at NASA and researchers who were familiar with his own work in artificial intelligence (AI) and knowledge of how it required the role of analogy; at least of the analogies that are qualitative, quantitative and/or statistical. A paper model of a robot that could meet most of the U. S. Space Station Freedom requirements was accomplished. Accordingly, a complete automata theory model, including mobility and artificial intelligence, was designed, built and tested against a list of NASA requirements. It achieved all requirements. A few years later, Vice President Al Gore and Russian Prime Minister Victor Chernomurdin signed an agreement to merge the Freedom and Mir-2 projects with programs in Japan and Europe (1993). Boeing chose not to continue with the project. During the NASA budget cuts that led to the final decision to merge the missions, many of the researchers moved to Carnegie Mellon University (CMU) and Oak Ridge National Laboratory. McDonnell Douglas, Advanced Research Labs. Although Dorrough was offered another position at Boeing, he decided to return to the McDonnell Douglas Advanced Research Labs. His work with the design, mathematics and AI connected to the Flying Eye served well in his new position. Because automata theory was increasing exponentially, and military aeronautics was becoming more and more perilous for the pilots, the U. S. Air Force wanted a plane that could fly itself. This is where Sensor Adaptive Resource Planner (SARP) entered the picture. It is unknown at this point how much of this project is still classified. This workshop involved Dorrough and contributors to Molecular Biology of the Cell (3rd Edition, 1995). The workshop was planned by Dorrough to answer specific questions related to the field of cell biology. Based on the workshop, Dorrough developed a program for cell analysis called KARYOSIM. A demonstration model was created and used by researchers during the early 2000s. Independent Consultant to drug development companies in respect to complexity analysis and its management. Using the fundamentals developed with KARYOSIM, consulted with pharmaceutical research companies for the development of maps related to protein interaction. This research included the mapping of the proteins of the Human Genome for signaling called kinases which is one of the largest gene families in the human body. What are the possible ways in which an AIDS virus can mutate and can we defeat it by predicting its path? How does a diseased cell react to a selected group of therapies? By narrowing the field of possible solutions with computer analysis, the time and expense to find a solution is greatly reduced. This method was applied both to conventional drug research as well as to stem cell research. 1966 Citation for Professional Achievement: Advanced Systems and Technology Space Systems Division, Douglas Aircraft Co.
Decision Impact Risk Evaluation and Control Technique (DIRECT™). CD: June 2, 1969; CDS: October 1, 1970; January 9, 1973; October 8, 1978; April 20, 1997. Risk Analysis and Risk software utilizing both Baysian and Non-Baysian statistical mathematics. Software Testing and Optimization Resource Methods (STORM™). CD: July 25, 1995. Analysis of Purported Solutions for Complexity and Cost Effectiveness. Software-Assisted Test and Retrieval of Information and Knowledge Elements (STRIKE™). CD: August 18, 1995. Determines veracity, coherence, consistency and integrity of both data and knowledge bases. Similarity Identification Methods for Probable Localization Exogenously. (SIMPLEX™). CD: September 2, 1998. Automated Evaluation of Supplier Optimization Potential (AESOP™). CD: May 1, 2000. Assesses the overall probability of obtaining accurate and timely information, within narrow and variable confidence bands. Multi-Dimensional Analogic Complexity Evaluator (M-DACE™). CD: February 22, 2001. Core source for a very broad spectrum of applications that require analogical inference and complexity assessment. KARYOSIM: a computer based self-replicating simulator. It is software that simulates five different biomolecular interactive processes in most of each of the following variants: 1) protein to protein; 2) enzyme to enzyme; 3) protein to enzyme; 4) enzyme to protein; and, 5) all four of the previous interactions, with their tags. The simulator ultimately produces the full sequencing of complete genomes. This robot was developed for NASA by the Boeing Advanced Technology Center for maintenance of the Space Station, Freedom. The project employed Life State Evolutionary Technology to develop a robot capable of analyzing a need, selecting the appropriate tools and completing the repair task required. The robot tested successfully in a large number of scenarios. A later version was deployed at Chernobyl for use in assessment and decontamination efforts. Its “brain” and self-control system was derived from earlier work described in A Methodical Approach to Analyzing and Synthesizing a Self-Repairing Computer (See IEEE Transactions on Computers Vol. C-18 No 1; also, A Theoretical Analysis of System Quality. IEEE Transactions on Reliability, Vol. R 20 (1971). These two publications, together with Vision-Based Predictive Robotic Tracking on a Moving Target and the contents of the book Toward a Coherent Multi-Targeting Protocol culminated in the final design of the vision, reasoning, and control systems of the “Flying-eye”. Life State Evolutionary Technology (LSET)™, is a phrase coined by Dorrough to account for a decision, originally among a dozen post docs in engineering and biology, to predict and track a trend in science of interfusion among the biology, chemistry, computational technologies and physics. One of the annual tracking points occurred with the completion of the “Flying-Eye” robot. Another occurrence was the recently demonstrated capabilities of the bio-nanowire and its successors. This was soon followed by an overwhelming vote for a specialty in nanodiagnostics by the AMA, DSJ, and EMDC. An awe inspiring life and you are to be congratulated for allowing all of your friends and relatives to know Doug as well as you have for the past 15 years. Thank you Sis. This means a great deal to me.